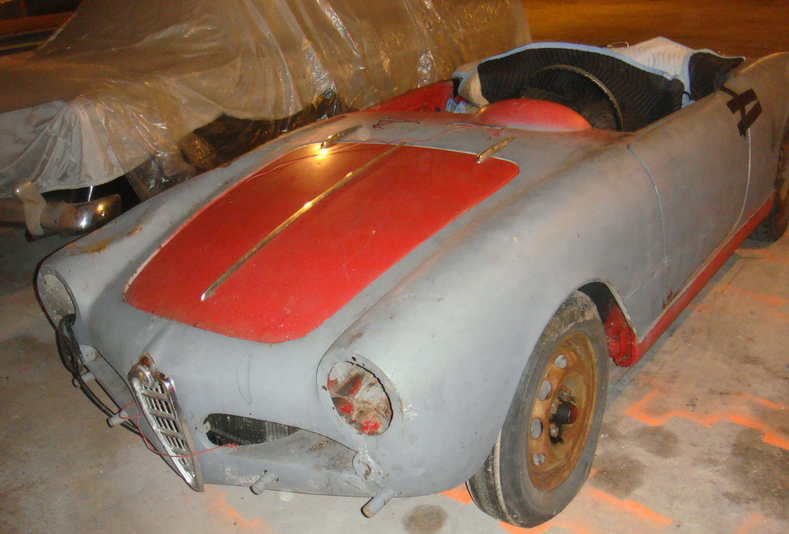 Giulietta Spider 10103 171160. This car is available from the same seller as the car featured in Market 497, on eBay out of Connecticut. They made about 500 1300 Spiders after this one in 1961, putting it near the end of 1300 production – not much of a distinction I suppose. Engine block is blank, indicating a factory short block replacement – probably under warranty if the stories the oldtimers tell are true. 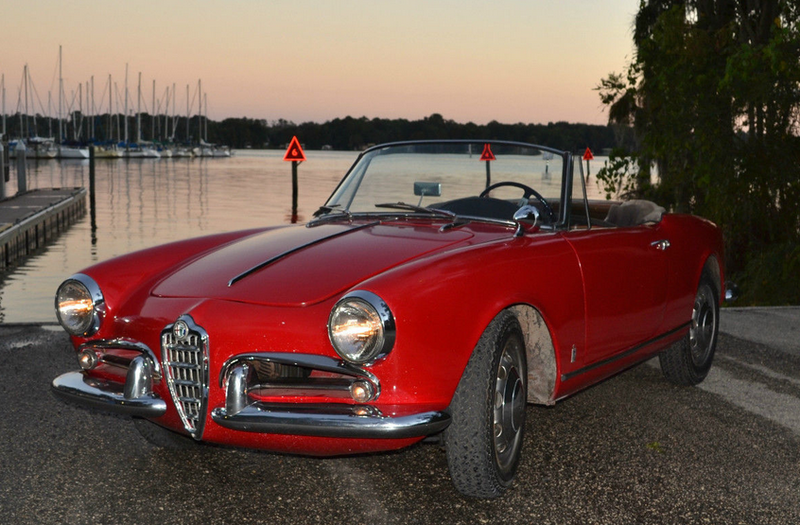 Giulietta Spider 750D 1495*02553, 1315*04353 (non-matching). This car is available now on eBay out of Connecticut with a $17,500 Buy it Now. It’s a long way from any semblance of nice or usable, but it’s a 1957 model and 56-57 Spiders seem to be more sought after than the later siblings, probably due to the idea of ‘event eligibility’. Anyone have a 1957 that got them into an event that a 1958 would not have? Like everything else, I suspect it’s about who you know, and the magnitude of check you can write. It’s amazing how the 7000 or so 750D Spiders ever made seem to have transformed into an endless supply of projects like this. Step one? A big can of Kroil. Step two? Get good with Excel. 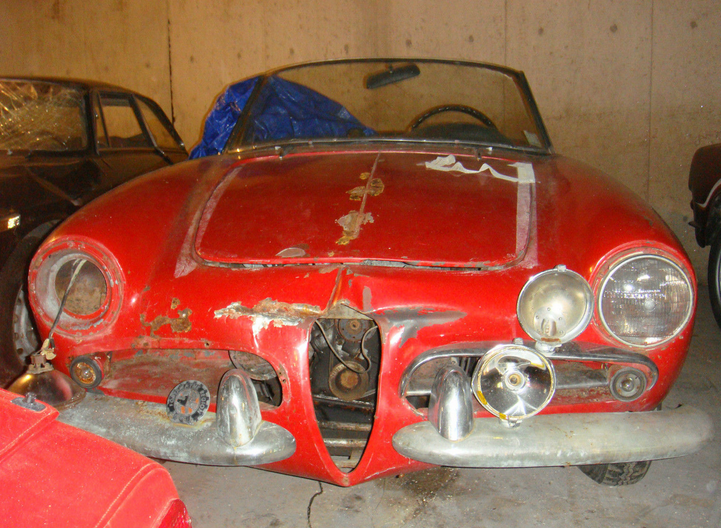 Giulia Spider 1600 10123 AR374563, 1315*012684 (non-matching). This car is available now on eBay out of St Johns, Florida. 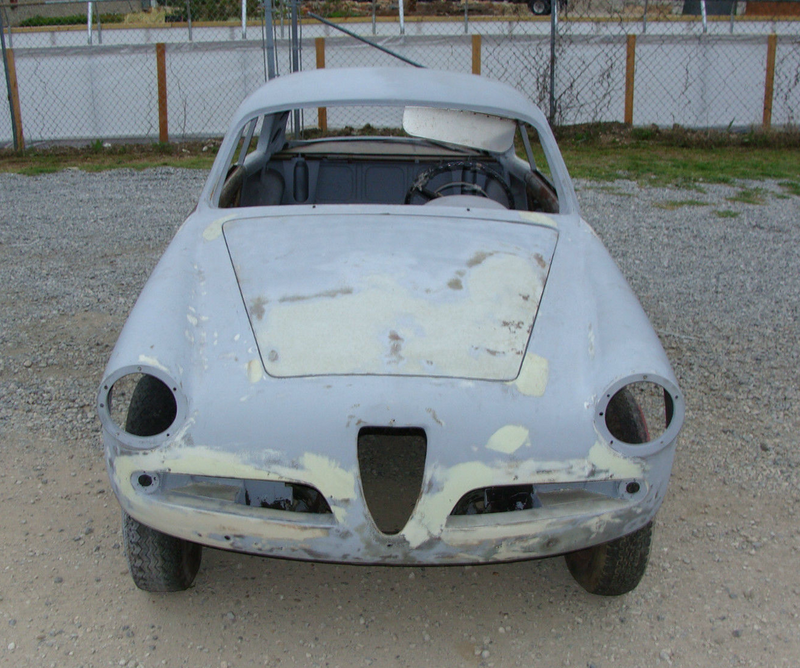 Seller purchased the car from Fantasy Junction in 2003 and used it sparingly. This car would have originally had an 00112 series 1600 engine, but is currently fitted with a 750-to-101 transition 1300 unit from probably mid-1960. If one were looking for an attractive and fundamentally sound driver 101 Spider that will likely end at a reasonable price, this could be a good option. Originality purists will find lots to complain about/nitpick here, but one needs to keep in mind the qualities that make these cars the generally well regarded, desirable objects that they are: smile inducing drivability and beautiful lines, both of which this example possesses. When you have spent a lot of time with something, you can forget the things that originally attracted you to it. 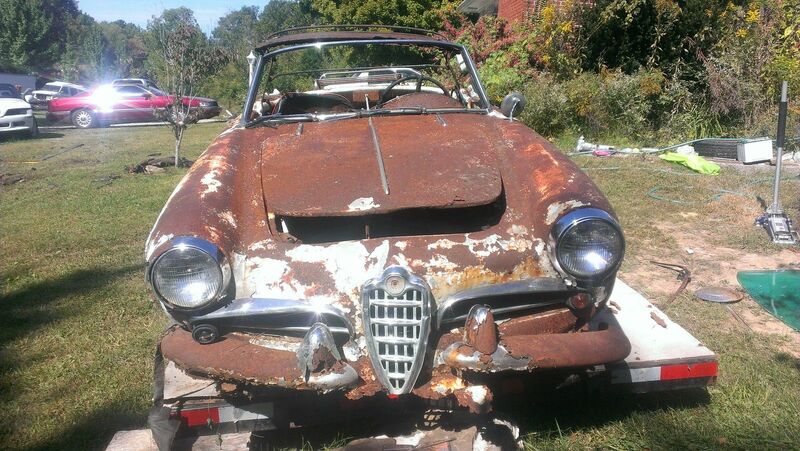 Imagine this is your first time seeing a Giulietta Spider. 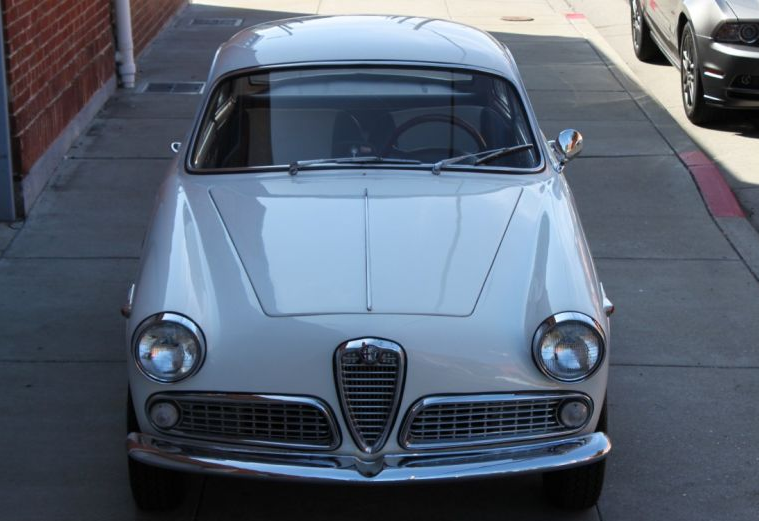 Giulietta Sprint 10102*24709, 00102*17231. This fellow was listed at Fantasy Junction in their new arrivals, and it went from there directly to their Sold listings. I stopped by to ask Spencer about it and he told me they put it on their site and had a deposit that day. Asking was $52,500 and they got a thick hair below that. Tom Sahines recently did some work on it (a good thing!) 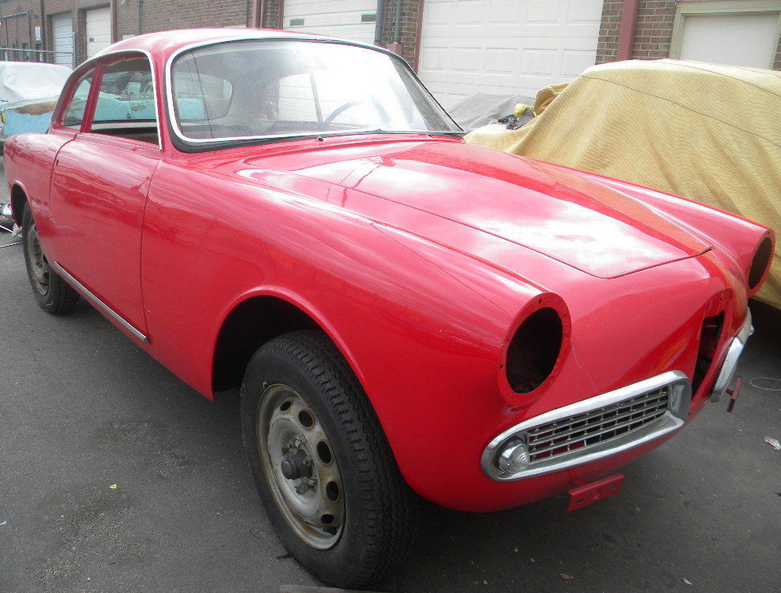 for the seller, and it looks to be very nice looker/driver. Someone is in for some fun with a good looking blond. It’s funny to be putting fresh eyes on a Market Report – it’s been a while since I did more than a quick one. Everything here looks tidy and proper. I wonder how they get the licorice rope edging to stay on the car? You can see mine on the header above is lifting.